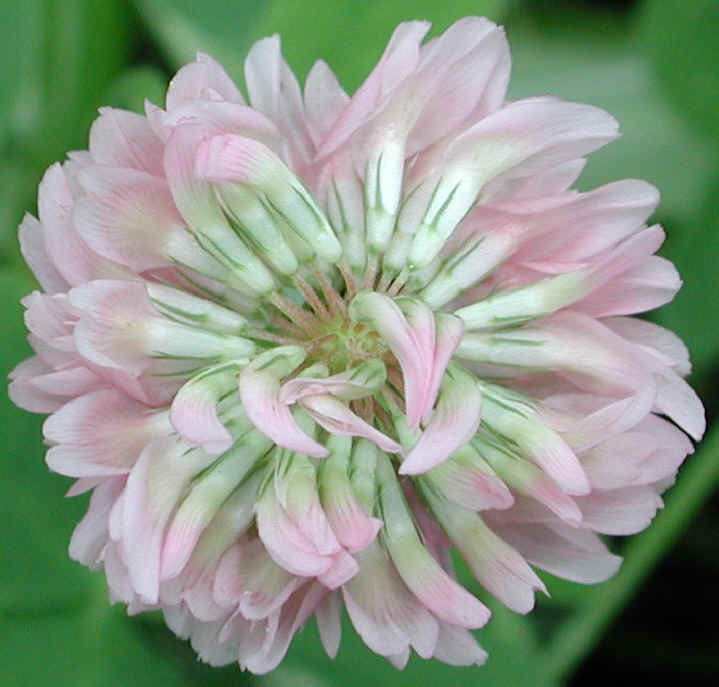 (Alsike Clover (Trifolium hybridium) - 02) The pink color of the alsike clover flowers can be seen more clearly in this photo. Each one of these 1 cm. long tubular shaped growths is a separate flower, many of which are clustered together in a rounded head (the top of this blooming flower head has been damaged, which allows us to see the flower structure more clearly).